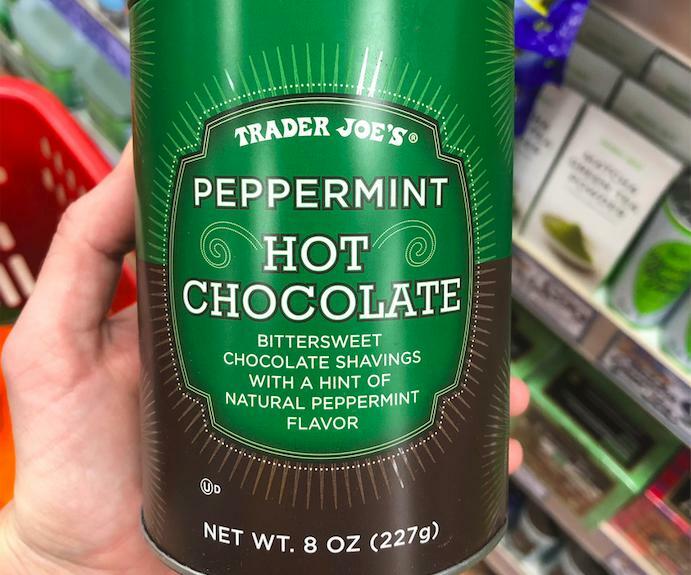 We don’t have to tell you that grocery shopping at Trader Joe’s can get pretty dangerous — especially when you walk in the door with an empty stomach. (Whoops.) 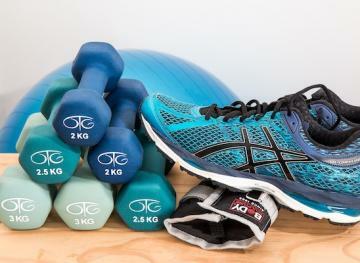 But you’ll be pleased to know that there are fun finds lurking around every corner of the store that will not only help you keep your healthy eating goals intact, but also make your taste buds feel like doing backflips. 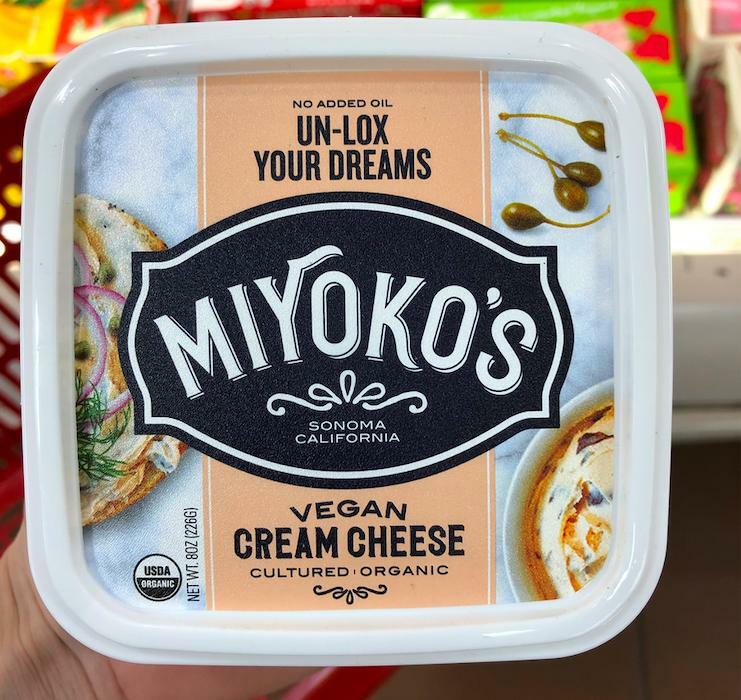 That’s right — here are eight of our favorite surprisingly indulgent eats at Trader Joe’s that we buy on the regular. Dessert for breakfast, anyone? 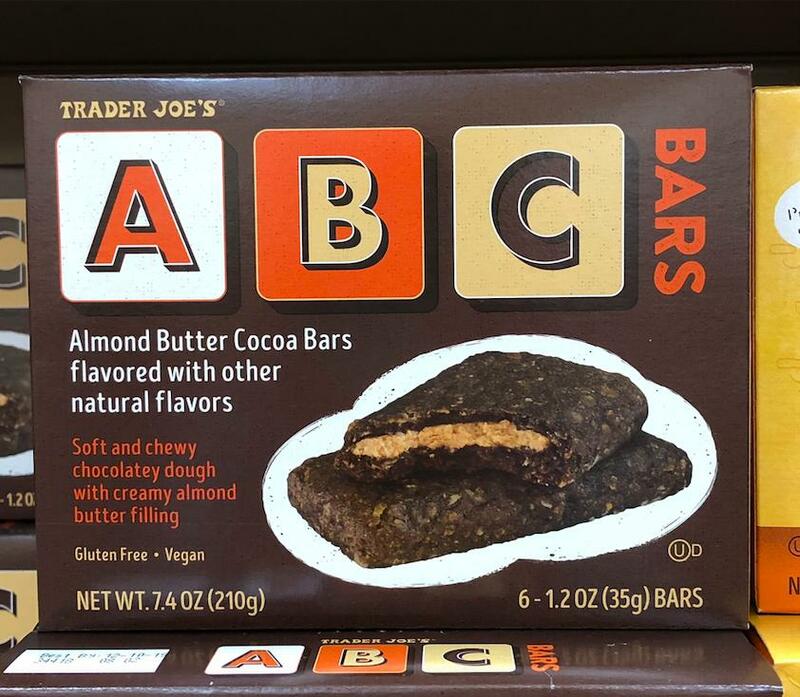 These bars may be both gluten-free and vegan, but they can crush virtually any chocolate craving and fill you up at the same time, thanks to a generous dollop of almond butter on the inside. We keep a couple in the car, in our purses when we travel (gotta have airplane snacks!) and in the kitchen pantry at all times. You may think non-dairy cream cheese is a total diet compromise, but think again. This faux-lox spread is the perfect addition to any brunch table, toasted bagel and more. 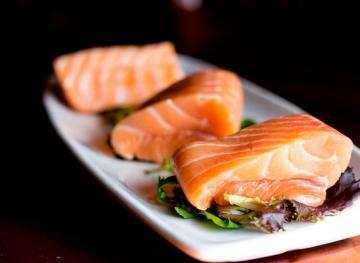 The schmear is made with cultured cashew cream, which is why it has such an irresistible texture. And don’t even get us started on how there isn’t actually fish in there… It’s mindblowing. 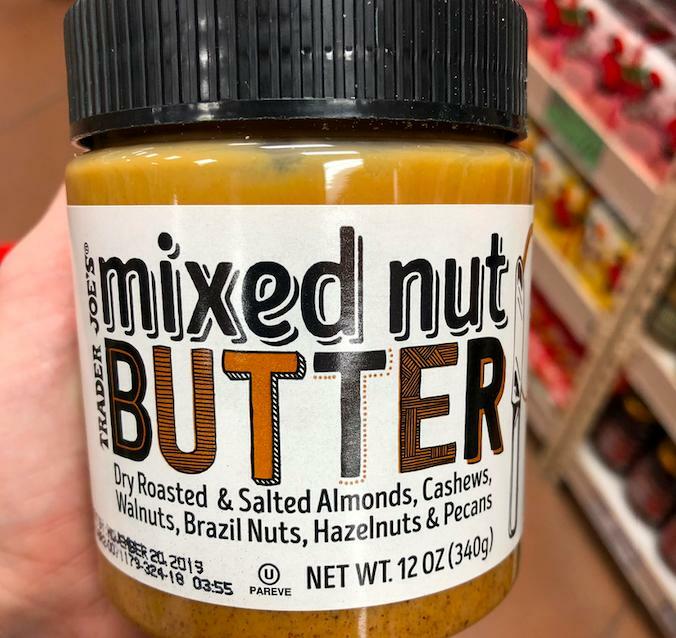 Gone are the days of arguing about which nut butter reigns supreme because this bad boy throws all of them in the same jar and the result is divine. It only skips over the peanut, and TBH, it’s not even missed. We indulge in this mixed nut butter in our oatmeal, on our toast, on top of brownies and straight out of the jar by the spoonful. Seriously, it’s that good. If you’re a savory snacker, it’s time to stock your desk drawer with these guys. 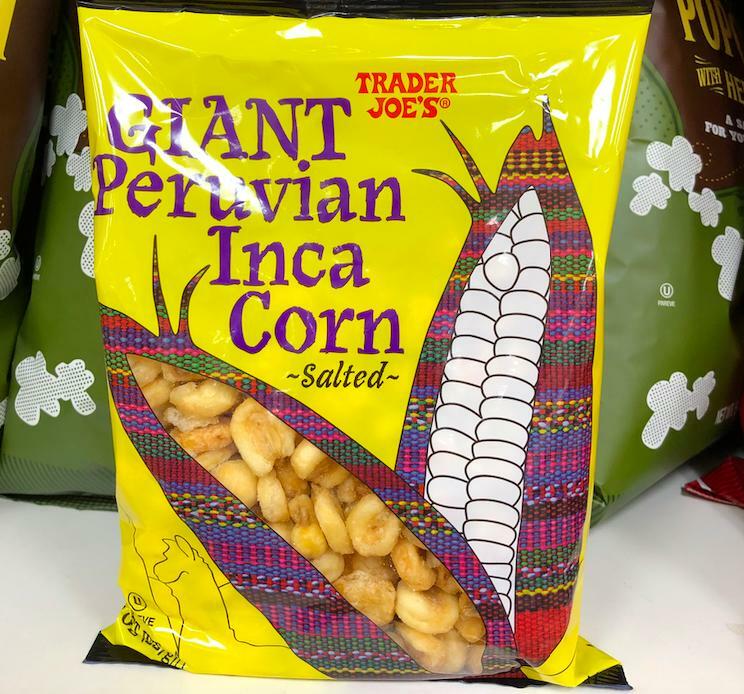 We’ve never seen corn kernels this big or so perfectly salted anywhere else, and they’re a total steal at less than $2 a bag. Yes, you will be crunching hella loudly and anyone near you will notice that you’re digging into your new favorite TJ’s treat, but we bet they won’t mind so long as you offer to share. 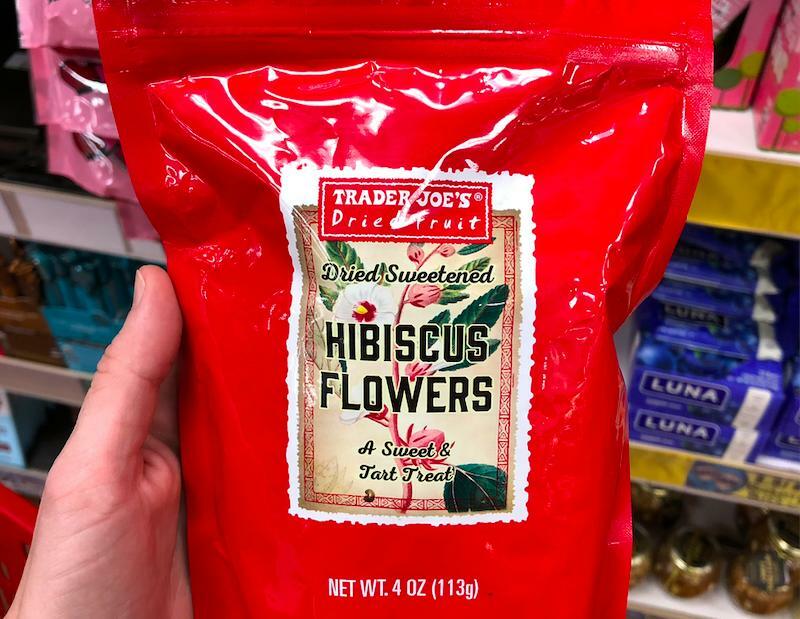 This new Trader Joe’s find is livening up the dried fruits and nuts aisle with vibrant colors and floral notes that make us feel all sorts of fancy. And if you think it sounds a little bizarre to snack on flowers, try one before you judge. They maintain a delicate balance of sweet and tart, making for a delicious afternoon pick-me-up that won’t come close to breaking the calorie bank. Oh. My. God. 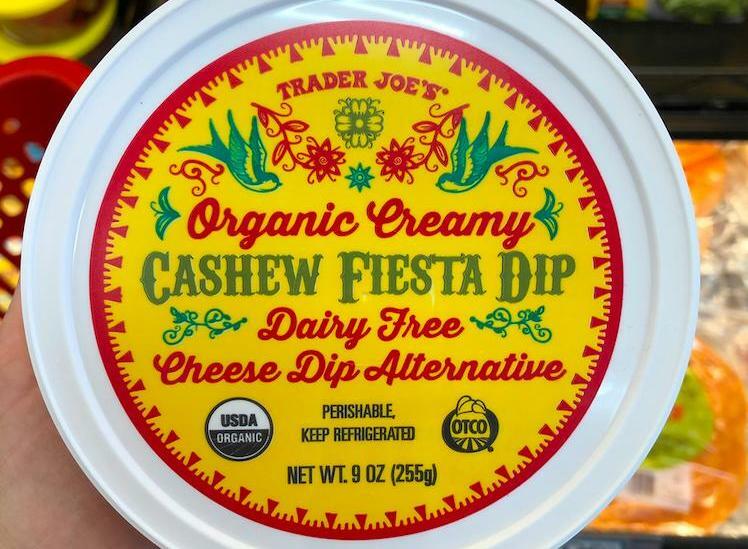 Cashew cheese is life, guys, especially when you spice it up for a sick plate of nachos. 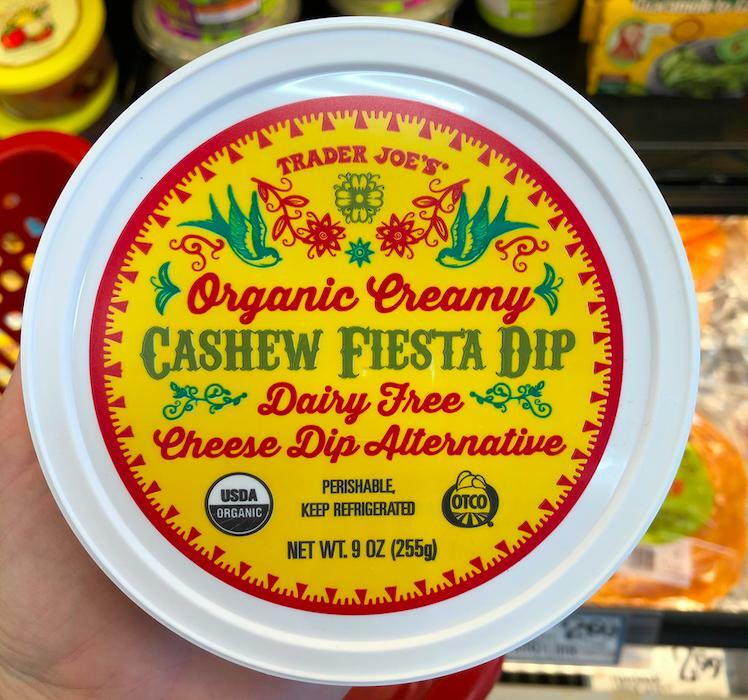 The second you pile this queso-style dip high on a bed of tortilla chips with black beans, jalepeños and salsa verde, you’ll be thinking, “Diet, be damned!” We can’t get enough of most of TJ’s plant-based treats, but this one is high on our list of favorites. 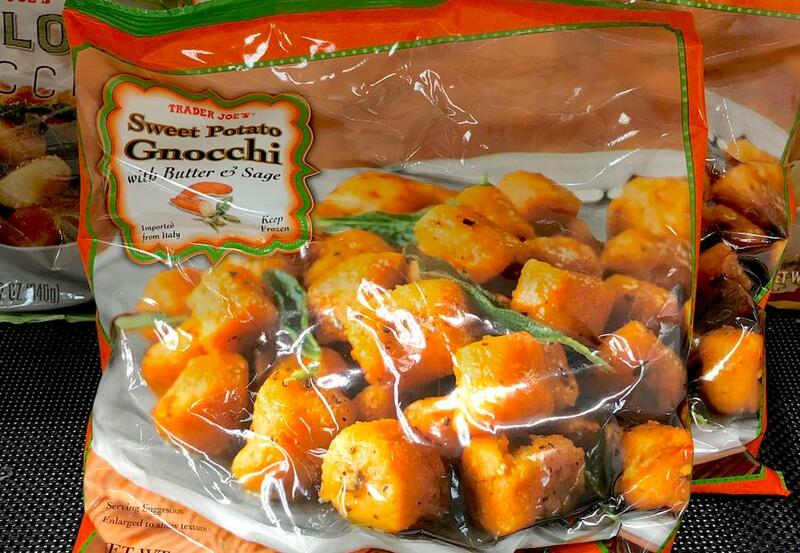 We know everyone is obsessed with the cauliflower gnocchi at Trader Joe’s, but have you checked out its cute orange cousin in the freezer section? These little sweet potato pillows with butter and sage will make you feel like you’re dining at a restaurant rather than at your own kitchen table (or let’s be honest — from the comfort of your couch). We always buy several bags at a time! Ahhh. This rich, chocolatey beverage is the only way to soothe your soul at the end of a long day. With a careful balance of bittersweet chocolate and peppermint flavor, this hot chocolate mix can be (and should be) enjoyed all year round. It’s like a Girl Scout Thin Mint cookie liquified in your favorite mug within minutes — pure magic.